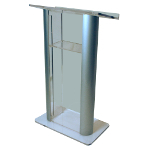 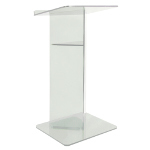 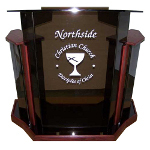 * Acrylic lecterns are special order custom made items, making them noncancellable. 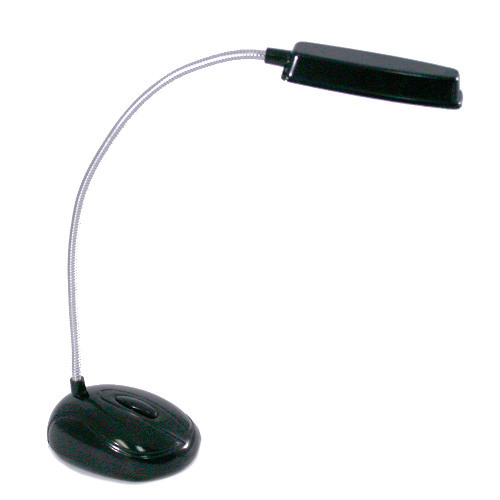 The SN3525 Series has a ¾-in. 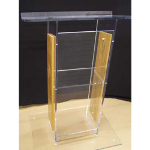 thick plexiglass & anodized aluminum. 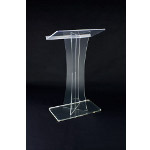 See-through front Acrylic panel with 4 satin anodized aluminum pillars and two side Acrylic accent panels that enclose the presenter. 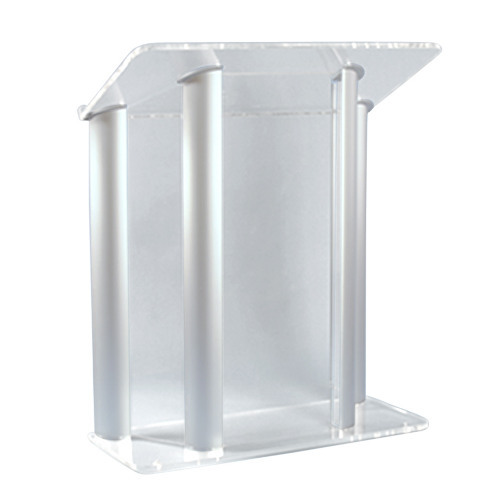 Top reading surface of 42-½-in.W x 20 ¾-in.D with a 1-1/4" lip for resting reading materials for an extra wide format. 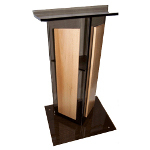 Overall Dimensions: 43" H (to highest of 51" h) x 42 ½-in.W x 18"D. Ships Fully Assembled.